A “wrongful death” occurs when a person is killed due to the negligence or misconduct of another individual, company or entity. Every state has a civil “wrongful death statute,” or set of statutes, which establish the procedures for bringing wrongful death actions. An action for wrongful death belongs to certain persons identified by statute. In most states, such persons will include the decedent’s immediate family members, such as surviving spouses and children, and sometimes parents or siblings. 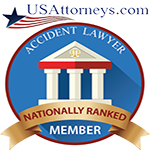 ​Pecuniary, or financial, injury is the main measure of damages in a wrongful death action. Courts have interpreted “pecuniary injuries” as including the loss of money, goods, services, benefits, and society. Most laws provide that the damages awarded for a wrongful death shall be fair and just compensation for the pecuniary injuries to the persons for whose benefit the action is brought, resulting from the decedent’s death. If the plaintiff paid for the funeral expenses or medical care related to the injury that caused the death, they may recover those expenses as well. When determining pecuniary loss, there are a number of considerations: age, character and condition of the decedent, his or her earnings,earning capacity, life expectancy, habits, health and intelligence, as well as the circumstances of the persons bringing the action. This can often become a complicated inquiry. Usually, the main consideration in awarding damages is the circumstances of the decedent. For example, when an adult wage earner with dependents dies, the major parts of the recovery are: 1) loss of income, and 2) loss of parental society. The jury may consider the decedent’s earnings at the time of death, the last known earnings if unemployed, and potential future earnings. ​In a wrongful death action, the jury typically determines the size of the damages award after hearing the evidence. If the decedent earned considerable income and gave it to his family, that sum will be recoverable. However, if the decedent routinely squandered his income, this might reduce the family’s recovery. Similarly, the courts might reduce a jury’s award if the decedent had poor earnings, even though he was young, had great potential, and supported several children. At the same time, a jury may award lost earnings despite the decedent’s having been unemployed, if he had worked in the past and if the plaintiff presented evidence of the decedent’s average earnings while employed. 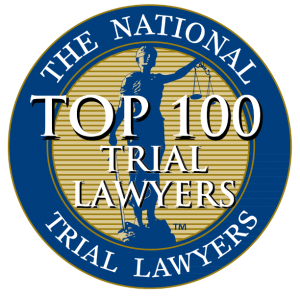 If the plaintiff fails to present such evidence of the decedent’s average earnings, the court may set aside the jury’s damage award and order a new trial. Plaintiffs are able to present expert testimony of economists to establish the value of the decedent to his family. When the decedent is a housewife who was not employed outside the home, the financial impact on the survivors will not involve a loss of income, but increased expenditures to continue the services she was providing or would have provided if she had lived. Because jurors may not be knowledgeable regarding the monetary value of a housewife’s services, experts may aid the jury in this evaluation. Punitive damages are damages awarded in cases of serious or malicious wrongdoing to punish the wrongdoer, or deter others from behaving similarly. In most states, a plaintiff may not recover punitive damages in a wrongful death action. There are some states, however, that have specific statutes that permit the recovery of punitive damages. In states that do not explicitly allow or disallow punitive damages in wrongful death actions, courts have held punitive damages permissible. An attorney will be able to advise you as to whether your state allows punitive damages. 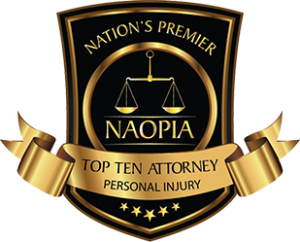 Survival Actions for Personal Injury In addition to damages for wrongful death, the persons entitled to bring the wrongful death action or the decedent’s estate, depending on the governing state statute, may be able to recover damages for personal injury to the decedent. These are called “survival actions,” since the personal injury action survives the person who suffered the injury. The person entitled to bring the wrongful death action or the decedent’s personal representative can bring such an action together with the wrongful death action. In a survival action for a decedent’s conscious pain and suffering, the jury may make several inquiries to determine the amount of damages, including: 1) the degree of consciousness; 2) severity of pain; and, 3) apprehension of impending death, along with the duration of such suffering. The court may also allow disability and disfigurement as damages.